We all want to give gifts that are thoughtful and personal to everyone on our list. There are always those on our lists that deserve a lovely gift but are difficult to shop for. 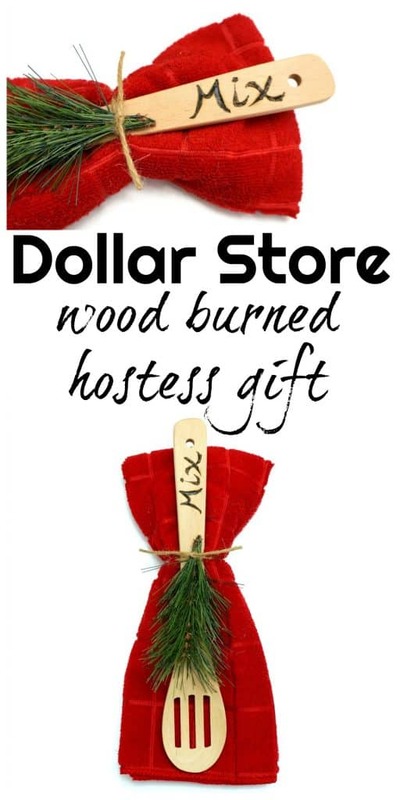 Today I am sharing a few simple ideas that will help you turn store bought every day items into personal gifts for just about anyone on your list this holiday season. These simple DIY plant gifts are sure to delight a few people this Christmas and won’t put you over budget. Here in Wisconsin winter has begun and it is cold. I know this is only the beginning and we have a long chilly winter ahead of us. When thinking about gifts during this season, I want to give items that my family and friends will cherish and use, and a plant in a personal custom pot fits that description. 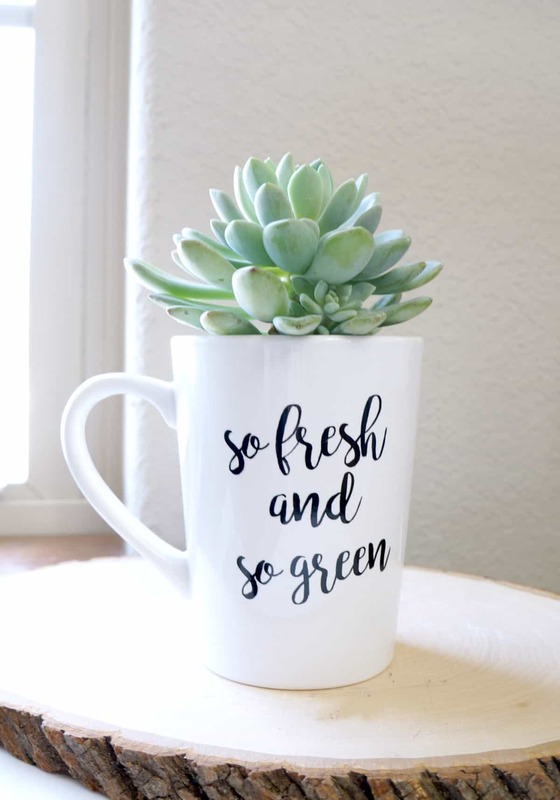 Not only are these simple DIY plant gifts cute, but bringing plants into the home can brighten moods and purify the air. 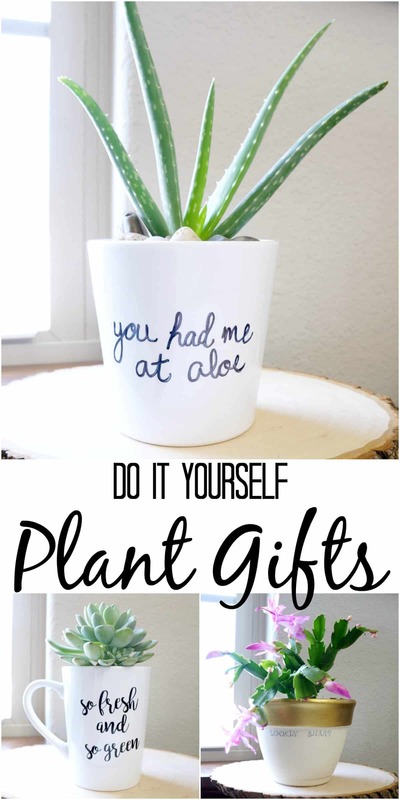 For these DIY plant gifts I started with 3 basic containers and 3 plants that require very little care. 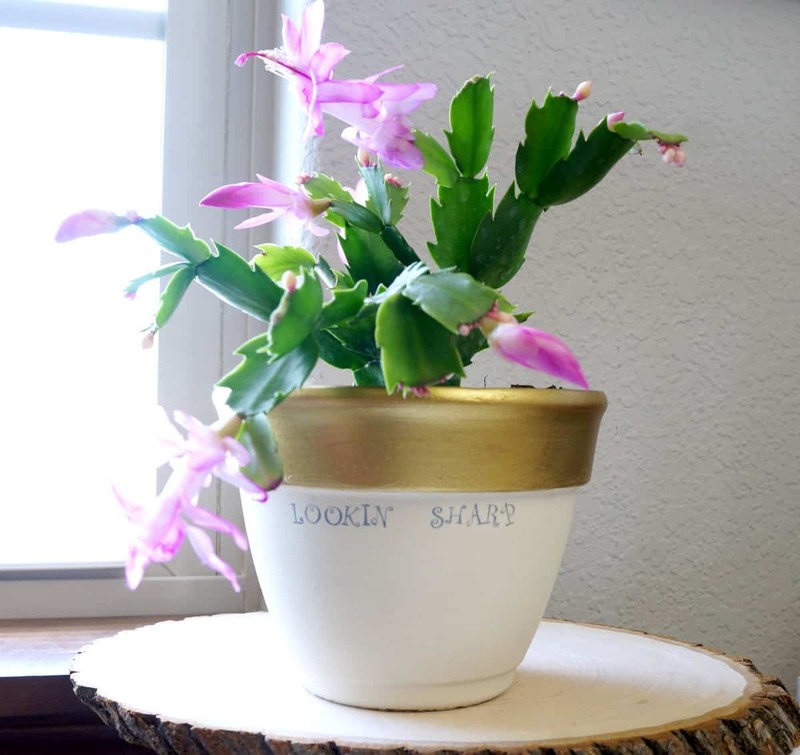 This Christmas cactus will stay green year round, and produce pretty pink flowers in the winter. It needs just a bit of water and sun to stay vibrant. To hold this lovely plant I used a terracotta pot and painted it cream and gold. Then to add a personal touch I stamped “lookin’ sharp” with black ink onto the side of the pot. Be sure to seal your painted pots to keep them looking good for years to come. Succulents are trendy and hardy plants that anyone can take care of. I potted this one in a Dollar Tree mug and embellished it with black vinyl. To ensure the plant thrives I added rocks to the bottom of the mug for drainage. 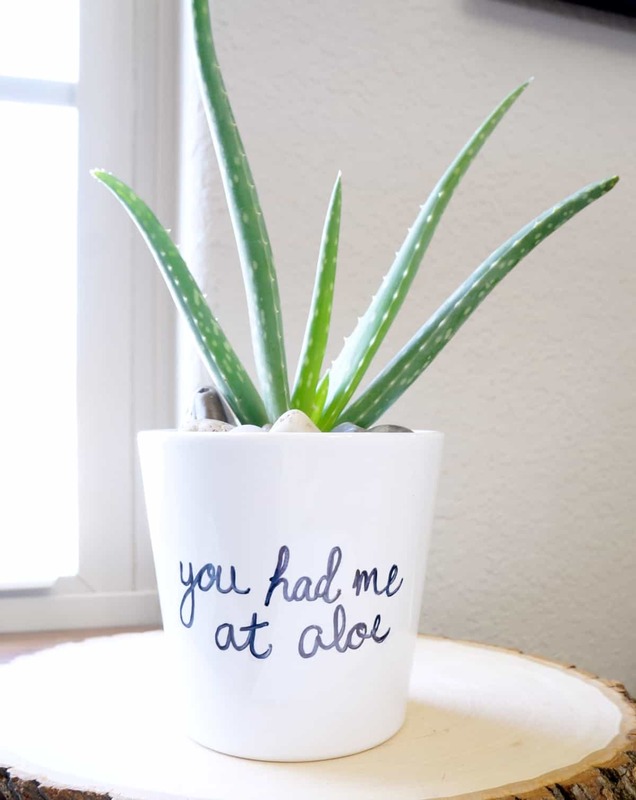 An aloe vera plant in your home has so many benefits. The gel inside can sooth irritated skin and just having one of these plants in your home can help purify the air. This is another one that is so easy to take care of, just a little water and sunlight will do. I used a Sharpie to add a fun message to the side of this glazed ceramic pot. I recently shared these DIY plant gifts and other simple gifts on Real Milwaukee. You can watch the segment below. Be sure to check out the hostess gift and cocktail in a jar posts for more details. Wow, Sarah congrats on the feature. What a great job! Love everything you created. All such great ideas for the holidays!